This week has been all about quick dinners as we pack for our trip to New York (tomorrow! Eee!) and get everything in order. 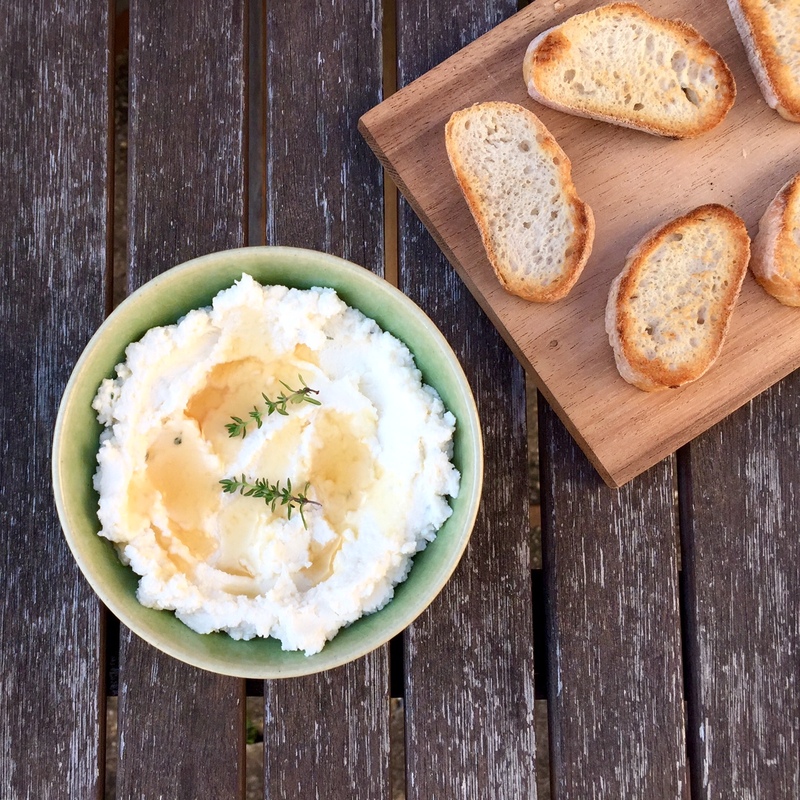 This whipped feta with honey and a hint of thyme takes minutes to prepare and is perfect with some thinly sliced toast. 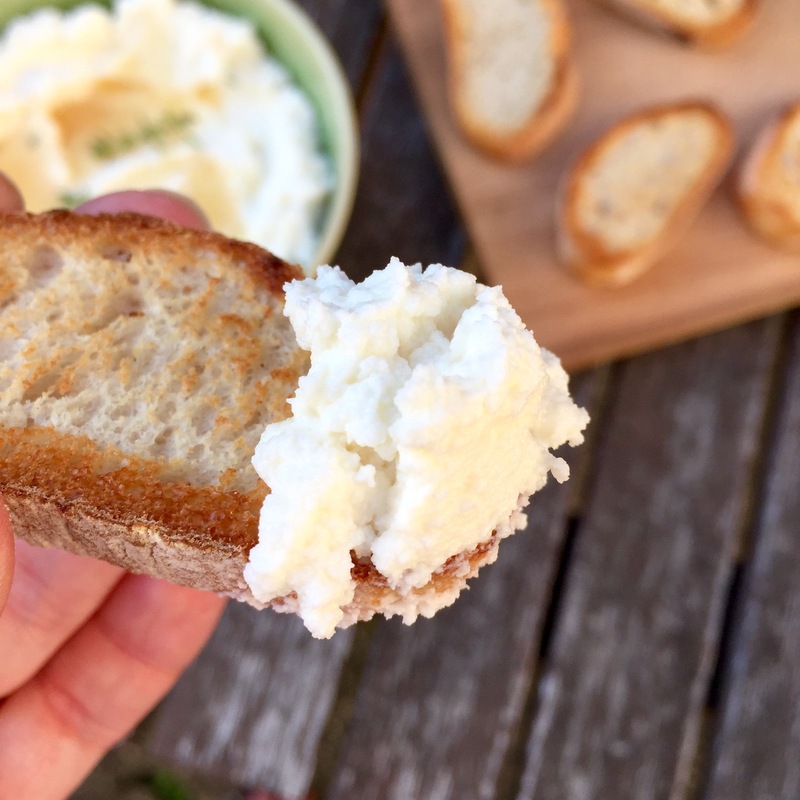 Feta is generally crumbly, but give it a bit of attention and it can be worked into a smooth, velvety consistency. I love the combination of the sweet honey with the salty feta, and the little pops of thyme add the final touch of flavour. I have to be careful to only make this in reasonably small batches though because it’s so delicious – I would just be eating it all day long given the chance! The amounts given in the recipe below are really just a guide, as it depends on your tastes. 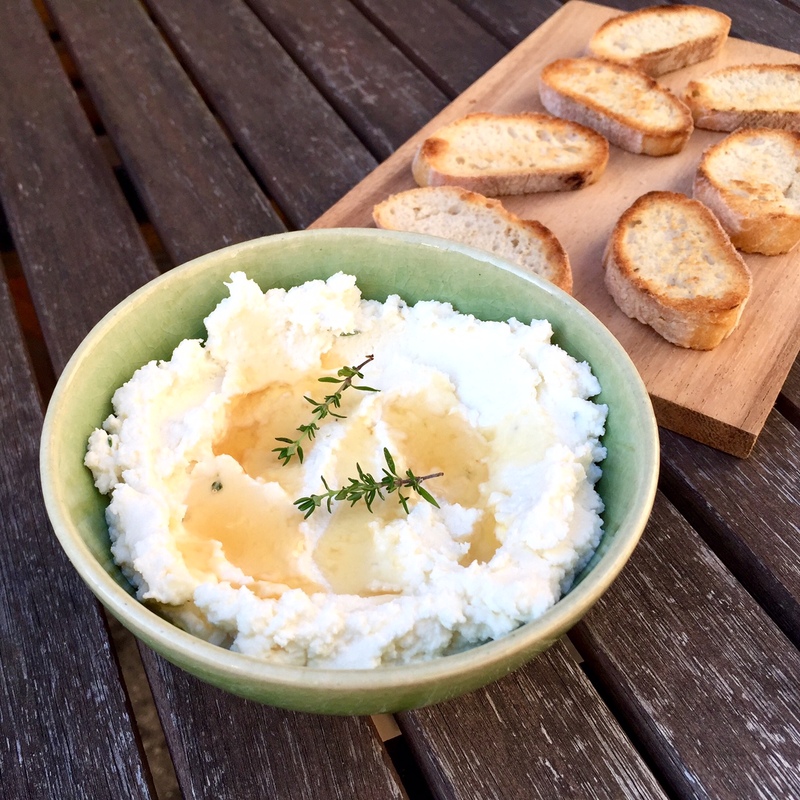 I tend to go easy on the thyme and chop it fairly finely to get a good distribution through the feta and to avoid huge overwhelming waves of thyme flavour, but I like a solid amount of honey. The idea is to taste as you go really. Anyway, back to packing. Next stop, NYC! 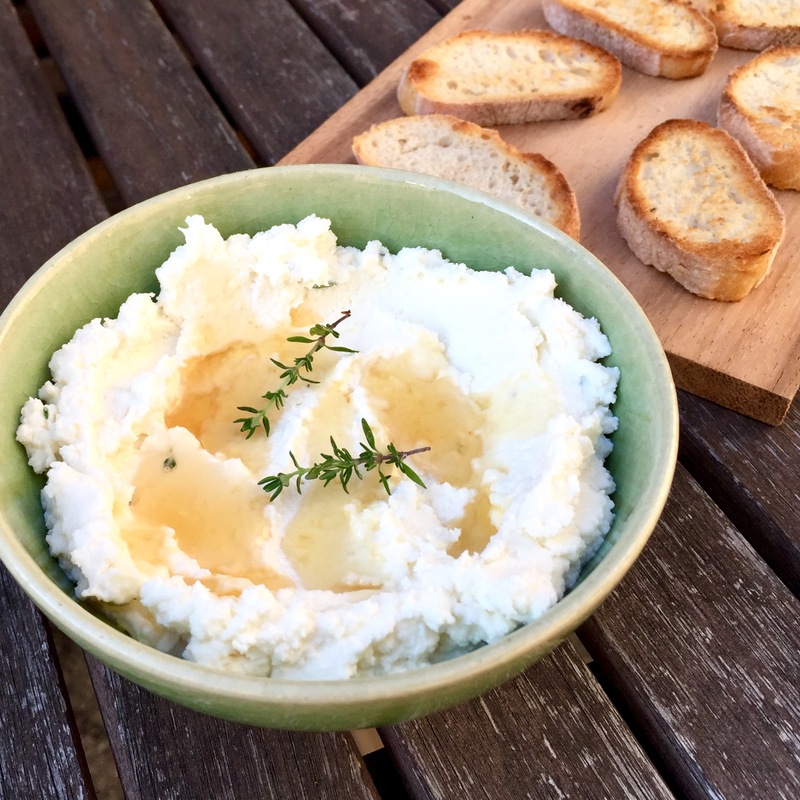 In a bowl, mix together the feta, honey, and thyme and keep stirring and working the mixture until it starts to come together into a smooth consistency. Serve in a bowl with a couple of little thyme sprigs and an extra drizzle of honey.